Want to give something bigger? please contact us on 02 9270 3372. Give family, friends and colleagues a gift with meaning! A Something Bigger gift will not only bring a smile to the face of those close to you but also to the face of a mother, father or child living in poverty. Each gift represents a common item bought with a small loan, helping a family in need start their own business, earn a regular income and leave poverty behind. Now that's something bigger! Choose your gifts – every gift is tax-deductible. Select to either send your gift via email or post. Go to the check out. If you selected to send your gift via email, your card will be sent straight away direct to your recipient. If you selected to send it via post, your card will be posted to you within 5 working days. It will include space for you to write a personal message and then pass on to your friend. Your gift has an impact! 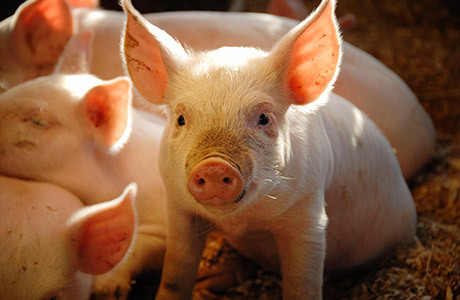 While all listed gifts are common business items purchased with small loans, Opportunity International Australia doesn't actually purchase a piglet and send it overseas. Funding is directed to wherever it's needed most. A small business impacts one family which equates to, on average, five people. Why did 15 chickens cross the road? To provide an essential source of income for families living in poverty in the Philippines! With just $7, you can provide a family with 15 chickens, helping them build a business and dramatically change their lives. Small loan recipients are able to sell the chickens for a profit, using the money they make to invest back in their business and provide for their children. Think recycling is a rather mundane activity? Think again! 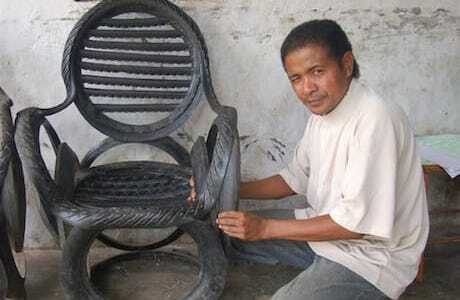 In Indonesia, small loan recipients can use their skills and creativity to turn used tyres into furniture such as chairs and pot plant holders. With their creations sold to earn the income they need for nutritious meals, clean water and an education, there’s no doubt about it—this kind of recycling is wheelie good. Wake up and smell the spices! 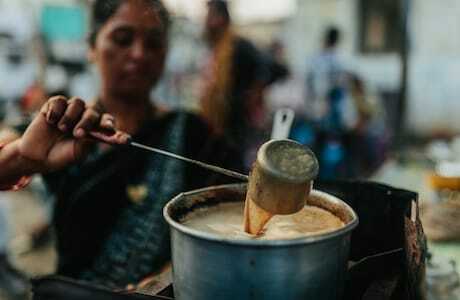 In India, chai is as essential to the day as coffee is in many Aussie families. For $26 you can give a supply of chai masala, a teapot and tea cups to help a family start their own chai stall. As the parents use the income to feed and educate their children, this spicy gift will continue to help families for generations. Get your 220 ducks in a row, because that's how many you'll get for $36 in the Philippines! 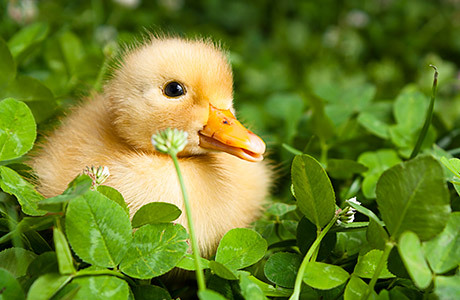 Raising these fluffy ducklings until they're grown, families living in poverty can sell duck eggs for use in cooking or as street snacks. 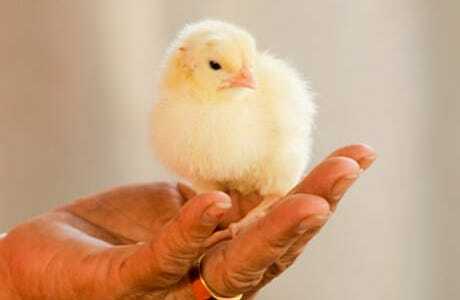 Forget about putting all your eggs in one basket, the income generated from these feathered friends helps pay for food, sanitation and school fees. Egg-cellent! What's a buffaloan you ask? Good question! 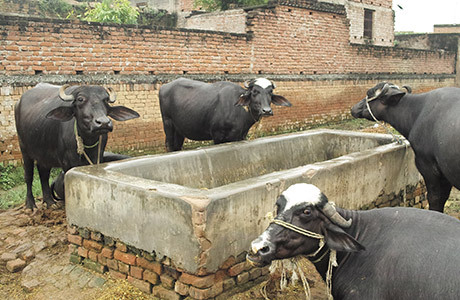 For just $50, the buffaloan helps feed a buffalo for a month in India. When it's fed, healthy and ready to produce milk, the buffalo helps families in living in poverty earn a regular income and afford food, clean water and proper shelter. They're cute and cuddly, but piglets also provide a common source of income for people living in poverty in the Philippines. Once they're grown, families can breed the pigs to start a small farm, using the income it earns to put food on the table and send their children to school. For just $55, that's a pig that’s sure to fly! Peace on earth is a dream most of us have, but here's a more practical variation – 'peas'! 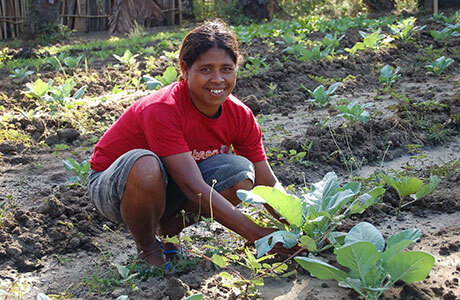 By using seeds and fertiliser to start a small vegetable farm, families living in poverty in Indonesia are able sell their fresh produce at market, using the income they earn to provide for their children. For $96, you can't beet that! Equipped with items such as a saw, wood, nails, hammer and chisel for $209, a person living in poverty in Indonesia is able to start a carpentry business, building structures and making furniture. The income they make helps them keep a roof over their heads, food on the table and their children in school. Who woodn't like that? Gourmets, gastronomes and masterchefs will love this one – or anyone else who's feeling peckish! Stocked up with ingredients and cooking equipment, families living in poverty in India are able to start a cooking stall – selling dishes and snacks to passers-by. As well as keeping their community fed, this gift helps them earn an income to keep food on the table at home. $275 – now that's cooking up some serious change! Fish are aplenty in the waters of Indonesia, but without a boat or equipment to catch them, people living in poverty have no hope of taking advantage of this abundant natural resource. 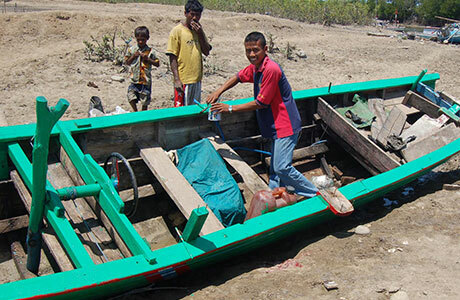 With a boat for $321, they're able to start a fishing business, netting a regular income to provide for their family. 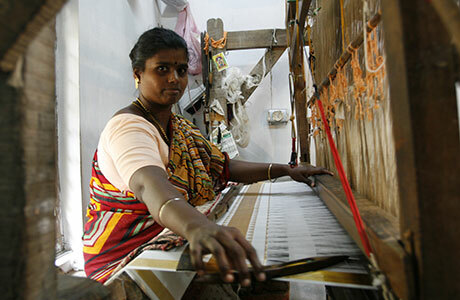 Woven fabric is used for a number of items in India – sarees, handbags and scarves to name a few. $504 is enough to provide a handloom to a person living in poverty, giving them a tool to weave beautiful, handmade pieces and earn a regular income. Now that's some material change! It might not be of the classic or sporty variety, but this little engine is of huge value to a person living in poverty. 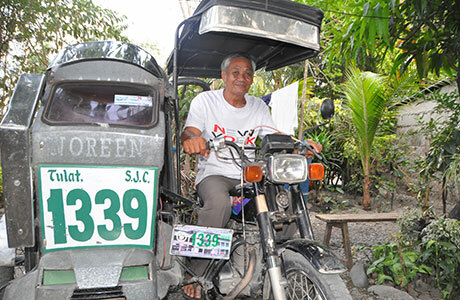 $1,000 is enough to purchase a tricycle in the Philippines, an automobile a family in poverty can use to start a taxi service to transport people around town. This sweet ride is enough to put poverty in the slow lane!